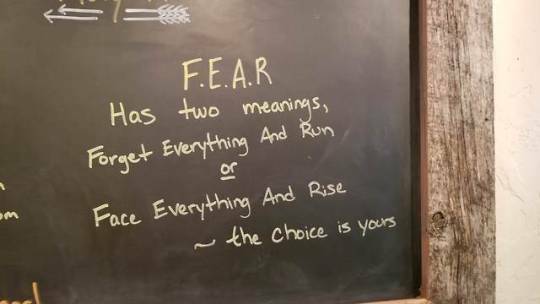 I'd probably replace "rise" with the word "respond" but you get the gist. Fear is an emotion that has to be conquered or barring that at least controlled. Side note. This doesn't apply to stupid tax. If you do stupid stuff and by being stupid you place yourself in a F.E.A.R. inducing situation then you're probably gonna pay that tax. But if you do things right and the wolf still comes calling then you have to face it down and hopefully shoot it between the eyes and dump the rest in its pelvic girdle so barring death it will be shitting in a colostomy bag for the rest of its miserable life.